With the tabling of reports that further underscore the pressing need for a credible accountability process, is Colombo finally ready to act? 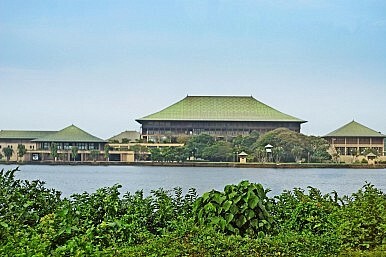 The report of Sri Lanka’s Paranagama Commission has been tabled in parliament. Mahinda Rajapaksa, the island nation’s former president, created the commission in 2013. Initially, the commission was supposed to probe wartime disappearances. In 2014, the government expanded the commission’s mandate; the body was then tasked with looking into what transpired during the end of the civil war. Given the country’s extensive history of presidentially appointed commissions or committees that don’t result in accountability, the Paranagama Commission was viewed skeptically by many people, including this writer. Like Rajapaksa’s creation of the Lessons Learnt and Reconciliation Commission (LLRC) in 2010, this appeared to be yet another attempt to deflect international pressure over alleged abuses which occurred during the war’s final phases. The Paranagama Commission’s report, along with two other documents – the recently released UN Office of the High Commissioner for Human Rights report on Sri Lanka and a report from another commission which looked into a range of human rights abuses, the Udalagama Commission — were tabled on Tuesday. Preliminary reporting suggests that the Paranagama Commission’s findings are worth examining closely. Among other points, it appears that the commission has noted that any accountability process (to deal with wartime abuses) must include international involvement. It may take some time for people to process all of these reports, although the tabling of these documents should be welcomed. Hopefully a robust debate ensues. Sooner rather than later, the administration of President Maithripala Sirisena will need to clarify how international actors will contribute to the country’s transitional justice process. Doing so would send a strong, clear message that Colombo is serious about fulfilling the commitments it’s made at the UN Human Rights Council, where a consensus resolution on Sri Lanka was recently adopted. In recent times, Sri Lanka’s new government has delivered a range of transitional justice promises, yet matters pertaining to implementation are still lacking. How much longer will people have to wait until discernible progress is made? With the tabling of several reports that further underscore the pressing need for a credible accountability process, Colombo must finally demonstrate that it’s ready and willing to act. In spite of the country’s recent democratic gains, problems continue to plague Sri Lanka’s Tamil-dominated Northern Province.